Bryan and Sam learn Kung-Fu and ride hoverboards through a futuristic city in this review of the animated feature Technotise: Edit and I.
Bryan and Sam discover time travel is super easy in this review of Alistair1918. 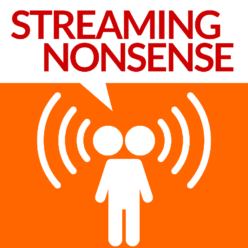 This week, Bryan and Sam look back at the first 50 films that they reviewed for Streaming Nonsense. Bryan and Sam discuss reality and the meta-life in this review of The Frame.